You may already know Job, but if not, let me fill you in on his story. Here’s Job, an upright Godly man and successful by any standard: large family, huge home with a lot of property, great numbers of livestock, many employees, wealthy and high standing in the community; then one day the enemy (devil) comes along and wants to test Job’s faithfulness to God, so he takes it all away. ALL. OF. IT. When this doesn’t shake Job’s faith, the enemy then makes Job painfully ill. Very quickly Job went from king of the hill to down and out in the valley. Have you ever been there? I sure have, on top of the world one moment, then buried below what once was my life the very next. If you find yourself there right now friend, keep reading, there is hope. At Job’s lowest point, his friends, who try to help, end up accusing him of bringing all these hardships on himself by rebelling against God. Now, we have an advantage here, because if we read the book of Job, we have the narrative and full picture, we know what is really going on. But Job and his friends did not. All Job knows is that all of these really bad things are happening to him but he has no idea as to why. This is where I typically find myself when difficulties occur – in the midst of the storm but not knowing exactly where it came from. The storms of life are a test of our faith. Will they overtake us? Will our faith be stronger than the powerful winds of turmoil and tragedy? When taking his family, possessions, status and health did not knock Job off of his firm foundation [God], the enemy launched an attack on his mind. And oh what a battle ground! Shame, regret, bitterness, pride, doubt – these are just a few of the destructive weapons the enemy uses as he attacks our minds. Job began to lose confidence in God, to see himself as no value to God, to lament his very birth and he didn’t want to see the light of another day. Job found himself is such a deep dark pit of despair. But God … loves us and intervenes for us. Today’s scripture mentions a mediator, “He”, someone who intercedes on one’s behalf and makes peace, or offers a solution. We have a tremendous mediator intervening on our behalf – Jesus! I say he “offers” this to us, because we have the choice to decide to receive this redemption or to reject Him. We are offered a way out of the pit, but we have to take it. We must confess and repent of our sins, reach out and take God’s hand offering salvation. Oh what a joyous day! 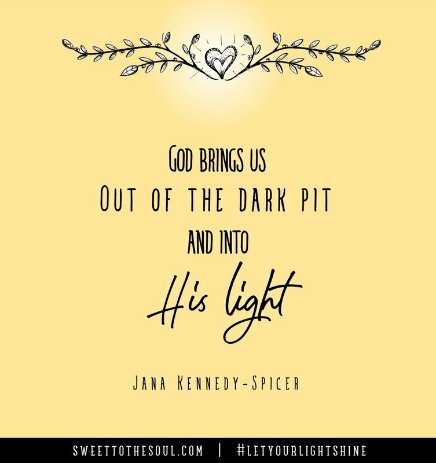 When God brings us out of the dark pit and into His light. So what happened to Job? God came to him – you see, God meets us where we are, even if we’re in a deep dark pit; Job answered God and repented for his lack of faith; and God brought restoration to Job’s life. ​Dear Lord, oh thank you for lifting me up out of the pit – time and time again. Forgive me of my doubt and lack of faith when storms hit. Strengthen me and remind me of your faithfulness! Thank you for providing a firm foundation for my feet. Guide me as I go through each day to stay on the path you have laid out for me, helping me to avoid the hidden pits dug out by the enemy. In Jesus’ holy name, Amen. 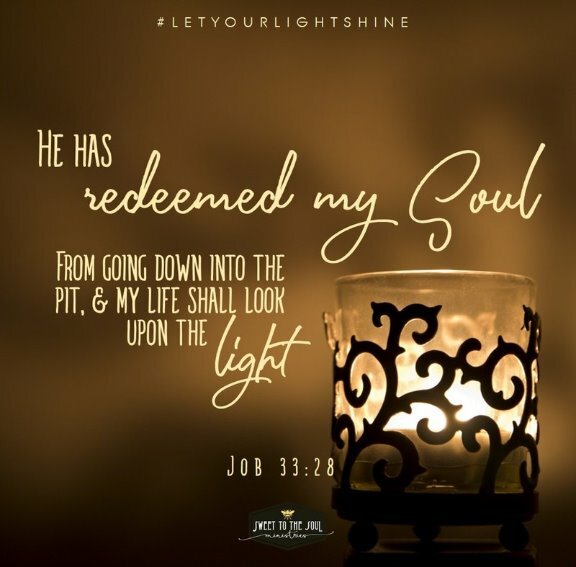 Today's blog is part of our #SoulDeep Daily Scripture #LetYourLightShine series. 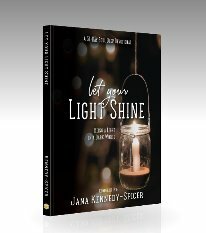 ​Jana Kennedy Spicer is a wife, mom and Nana who is passionate about inspiring and encouraging women on their daily walk with Christ. A woman rescued and repaired by the grace of God, she loves to share about the realness of God's love, redemption and faithfulness. Embarking on a new life journey, she is dedicated to using her blogging, Bible teaching, writing, photography, drawing, painting and graphic designs to bring glory to the Lord.